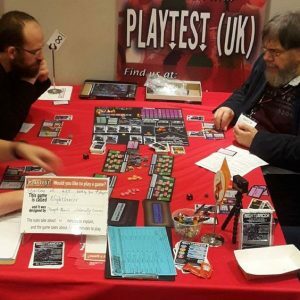 The latest appearance for Nightlancer was at Handycon yesterday, with thanks to Playtest UK for use of one of their tables through the day giving me the opportunity to run two full games with completely different players. This was the first playtest on groups of completely new players for a build of the game implementing the new Streets phase. As could be expected after a significant change to the game mechanics, this garnered valuable feedback on how to fine tune the game balance to best fit the new mechanics. The economy of the game needs some adjustment, as the new Streets phase system does make it easier to gain resources so it has become too easy to buy Prospects and Opportunities, which in turn threw the difficulty progression of the game out of balance. The changes for this are small – a few adjustments to costs and challenge difficulties will nudge the game back into balance. New components with these adjustments will be on show at the next convention appearance, and I’m pleased to say that this will be with new graphics from Christos on the Opportunity deck! This means that the three main decks (Contacts, Black Market and Opportunity) will all be using professional graphics for future playtests and demo games. 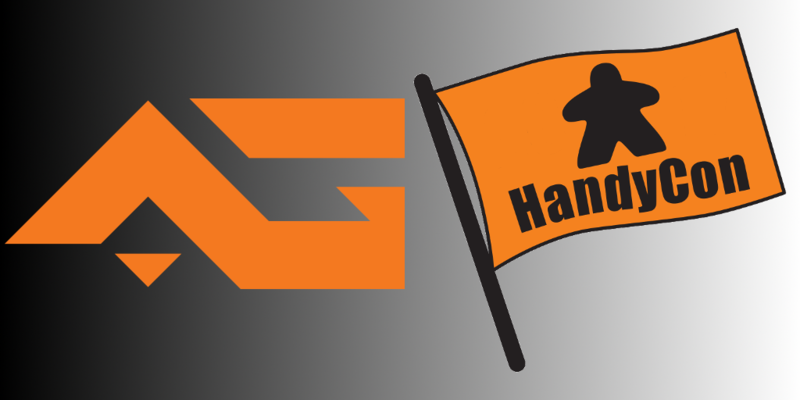 You can follow Adversity Games on Instagram or Pinterest to see all the latest action from convention appearances.